It has been established through numerous scientific studies, that emissions generated by human activities are resulting in climate change and increase in global temperatures, with potential catastrophic impacts. Envisaging this threat to the global society, one of the milestones was the adoption of Kyoto Protocol in Kyoto, Japan, on 11 December 1997. The major feature of the Protocol is that it sets binding targets for 37 industrialized countries and the European community, for reducing greenhouse gas (GHG) emissions. These amount to an average of five per cent against 1990 levels over the five-year period 2008-2012. International negotiations are currently underway to evolve a global carbon market with more ambitious emission reduction targets. Carbon Markets have become one of the fastest growing markets in the world. Their worth expanded to US$ 176 billion in 2012 from US$ 10 billion in 2005. Estimates predict a potential of up to US$ 1 trillion by 2020. Our commitment to clean energy goes much beyond pure business motives. A sense of responsibility towards mitigating the environmental degradation of planet forms the bedrock of Wind World (India) Ltd's corporate philosophy. Thus, we have been an active participant in various global carbon market platforms, specially 'Clean Development Mechanism'. Today, we're amongst the biggest players in the carbon market; both in terms of the number of registered projects and the quantum of Certified Emission Reductions Unit (CERs) & Verified Â Emission Reduction Units (VERs). With a strong portfolio of registered clean energy projects and an equally ambitious pipeline, we're uniquely positioned to play an active role in the global carbon markets. Our customers enjoy end to end service in carbon market value chain; right from the project concept note to actual monetization of emission reductions unit. 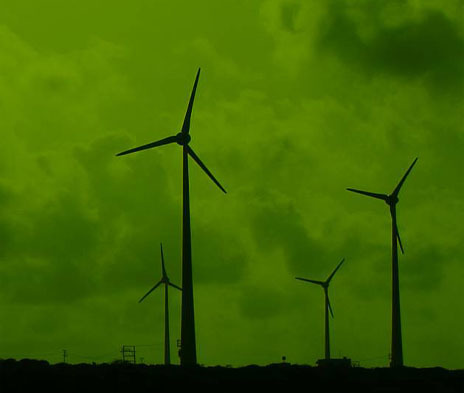 Being a key player on the global carbon platform, Wind World (India) Ltd. enjoys strong linkages with all major buyers and other stakeholders in the carbon market, which helps us provide maximum value to our customers for their carbon commodities.